Learn how to make a useful and cool origami accordion box – or roll up box! 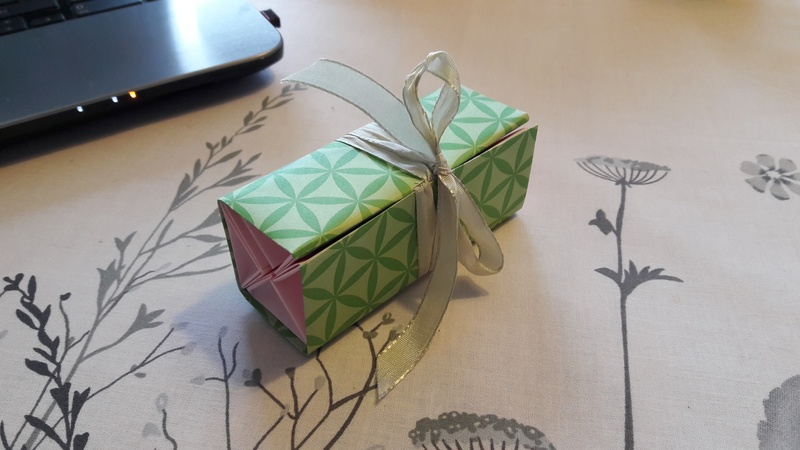 This origami gift box has 4 boxes which open up as you unwrap the box, or they can also be locked. I think you’ll find it quite easy to make this roll up origami box, because it looks complicated but it’s not too tricky. 4 internal boxes are attached to a fifth sheet of paper to complete this gift box. It’s quite different from the other origami accordion boxes out there! Choose to keep the boxes open, or have them closed, and also you can give them a cool little handle which you can pull to open them, which would be great for a gift box! Check out my paper recommendations for more information on where I get my paper; and also ideas and money saving tips. PreviousEasy Origami Dollhouse Tutorial – DIY Paper House! I am trying to make this rolled out boxes. But I can’t figure out how big the paper should be for making each individual box as big as 11cm x 8cm. Wonder if you can help me with this. Very cool box design, I really like how it looks all rolled up.